Concealed Comfort is an Authorized Dealer for Taser International. 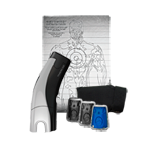 While we are able to offer the entire line of Tasers intended for Citizen use we focus on the C2 line of Taser Personal protection devices. 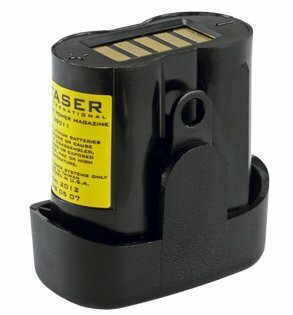 We like the Taser as an alternative to leathal force. Unlike the traditional "Stun Gun" you can be as much as 15 feet away from your attacker. Plus there is no "blow back" like you might experience with mace or pepper spray. What's really makes this the perfect choice is that Taser International offers LIFE TIME Warranty that if you ever have to use your C2 for lawful purpose of self defense, Taser International replaces your unit FREE OF CHARGE. This is printed right on the packaging of the C2. You can't lose. Protection and a money back guarantee. Take a few minutes to learn more about this non-leathal choice. 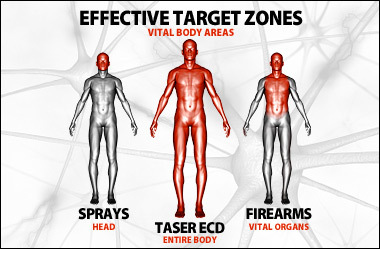 TASER personal protection systems give you the peace of mind of knowing you have the most effective self-defense option available, but without resorting to lethal force. 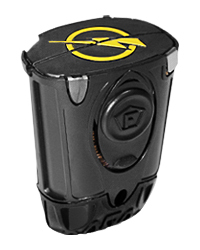 Whether you're at home or on the road, the TASER C2 Personal Protector provides your family a safer and more effective personal safety option. Law enforcement agencies rigorously test every piece of equipment before they choose to deploy. When over 12,500 police agencies in over 40 countries have selected TASER technology, you know it's the most effective and reliable safety technology available. Protecting yourself with a TASER device is simple and easy with proper training provided either online and/or the DVD that is included with the TASER C2. Just slide the safety back, press the trigger button and the device automatically deploys. The optional laser makes aiming easy. This is unlike any other self-defense system. There's no recoil, no risk of chemicals blowing back on you, and best of all, you don't have to make the decision to take a life to protect your own personal safety. The technologically advanced TASER C2 Personal Protector is designed for your personal safety needs. Utilizing the same technology as our proven law enforcement models, it offers incredible take down power and unparalleled protection right in the palm of your hand. 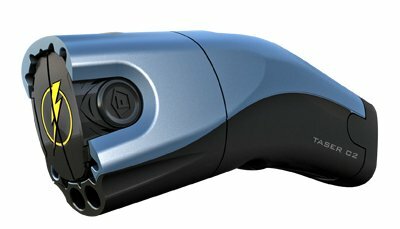 TASER C2 is an Electronic Control Device (ECD) that delivers an incapacitating pulse that overrides the sensory and motor functions of the nervous system. This powerful Neuro Muscular Incapacitation (NMI) technology can stop even the most aggressive individuals, including those under the influence of drugs and/or alcohol. The C2 ECD uses a replaceable cartridge containing inert, compressed nitrogen to fire two small probes that are attached to 15 foot (4.5 meter) insulated conductive wires. Energy is sent over the wires into the probes, which can penetrate up to two cumulative inches of clothing, or one inch per probe. The charge is transmitted between the two probes, jamming sensory and motor functions, and inhibiting muscular control. This NMI effect continues in 30-second cycles each time you press the trigger. 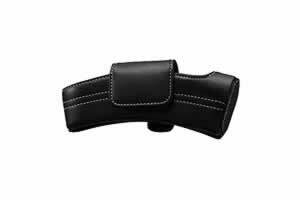 The C2 ECD can also be used as a direct contact stun device. ConceaealedComfort.com always strives to present you with the best value for your money. We feel the TASER GOLD Package does exactly that. The TASER C2 Gold Package includes everything you need to put the power of TASER technology in your hands. Complete with the TASER C2 with laser, lithium power magazine battery , 2 live cartridges, 1 training cartridge, a durable and lightweight holster, practice target, and a training manual, you'll be ready to defend yourself and loved ones if necessary. Activation/Registration required for unit to operate. Age and background check will be performed at activation. TASER electronic control devices are not considered firearms and are legal to carry in most states without permits (including California). Restricted from citizen use in MA, RI, NY, NJ, WI, MI, HI, District of Columbia, and certain cities and counties. The TASER GOLD C2 PACKAGE Taser is available in six designer colors. Due to the popularity of the C2 Taser, stock levels change daily. If we're out of your color choice at the time of order, not to worry. We will email or call you and let you know and tell you which colors are readily available. You will have the opportunity to get select a different C2 color, request a refund or you may elect to be placed on back order status until your color selction arrives. Again, we will notify you by email if this is an issue.